Composer Mick Gordon is not constrained in his knowledge of musical genres and techniques; there’s little within the soundtrack to 2017’s Prey that seems to undermine Gordon’s undeniable skill with traditional and electronic composition. 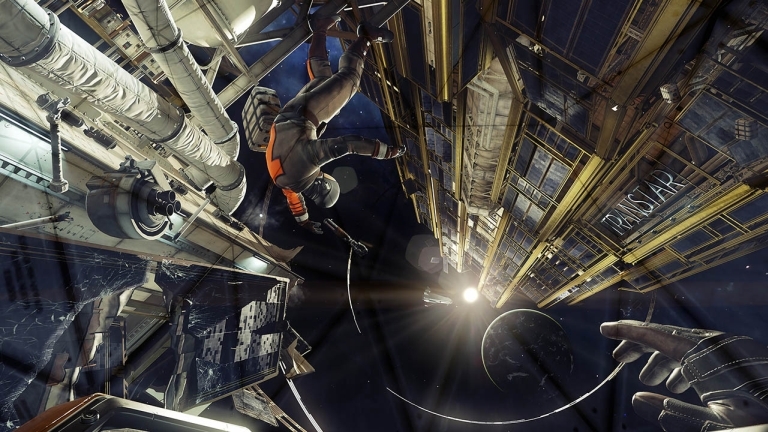 The second — and indeed second-to-be-heard — track from Prey’s rather less substantial 31-minute OST is proof enough of the man’s prowess in shifting from one style to another with little (if any) difficulty. Yet from last year’s blisteringly focal industrial/metal/experimental powerhouse via DOOM, to this — a less concise if still engaging (at points) amalgamation of fully fleshed out “tracks,” intermittent bursts and loose phrases — it only goes to show Prey, the game, as much benefiting as it is suffering from its lack of an absolute identity. It’s been argued that the game’s main flaw is indeed its indecisiveness, its lack of developing the influences and traits it so clearly draws from past sci-fi horror/mystery titles to use at its own pleasure. And like the game, the sounds encompassing Prey’s anxious, curious and at times genuinely fearful output deliver us a mix of compositional techniques that only go to further emphasize this double-edged sword of being intriguingly auspicious but not quite feeling like all the pieces fit together to form a solemn, worthwhile whole. Perhaps that’s the hidden meaning behind Prey’s fluctuating identity, musically and indeed sonically. Of shifting from unsettling, reverberating guitar strings at the game’s start menu one second, to some chillwave-like bolster (I’ve seen the good ole’ “vaporwave” meme flying around…which has led to a very specific set of reactions from yours truly) that’d fit neatly slap-bang in the middle of a sub-genre specific mixtape the next. In this sense, from the opening hour alone, Prey does a good job at demonstrating — and perhaps warning — the game’s inevitable “wide as an ocean, deep as a puddle” flaws gameplay-wise (albeit unintentionally). But more prominently, bringing to light how it, the soundtrack, aims to approach such atmospheric and perhaps emotional qualities in a way that can, at the very least, stand on its own as a provoking yet entertaining, creation. 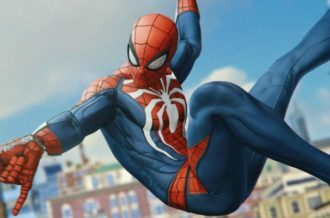 It would have been easy to simply rely on the same screeching string arrangements and sudden changes in dynamics that have come to score many a horror-leaning (or horror dominated) game as of late. Prey on the other hand chooses not to go down the traditional route however, in terms of both its choice of instruments or indeed its method of execution. True there are of course the shifts in rhythm or complexity when you stumble upon a Mimic or find yourself in direct confrontation with one of the game’s many Phantoms. Be they audio cues to signal approaching danger or the trigger that signifies that sudden need to use one’s survival skills, the presence of electronic percussion — and the lack of bass too; electronic beats finely tuned to this very crisp, high-range texture/timbre — in place of strings, is one attribute Prey can gladly claim it’s evolved past. 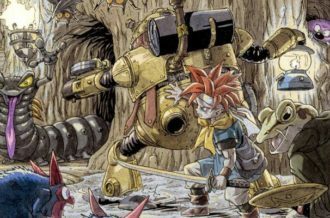 You might think that the setting of the game has something to do with why the greater emphasis on electronic music production is so prevalent. That the focus more on textures and filtering out particular sounds is but an inevitability of the narrative – another amnesiac on yet another doomed futuristic space station, trying to piece together his/her fragmented memories, victim to another awry situation involving aliens and experimentation and whatnot. 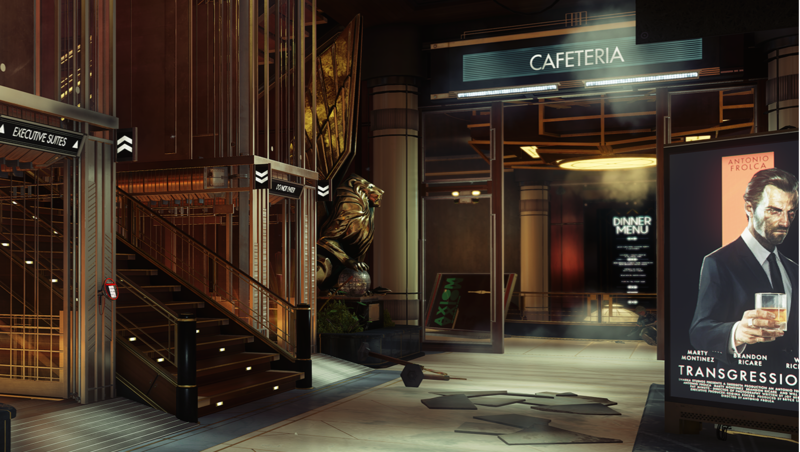 While it’s not my intention to play down the overall aesthetic of Prey — which at its best, positively provokes with its art deco and futurist influences — a lot of what drives the music is the situation the player is put in during the events of the game. And that is the lack of a given situation; the fact that it’s never made clear whether Prey’s tonal intentions are explicitly horror leaning or not. 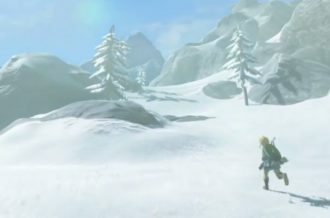 Again, another criticism a fair few have raised when addressing the game as a whole, but interestingly, this provides the game’s score an additional challenge to partake in, much like the player, inadvertently stumbling upon optional side-quests galore – simply via partaking in some humble exploration. 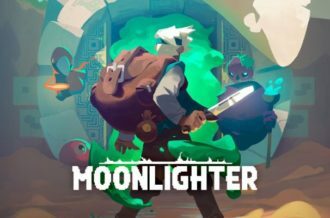 I’ve lost count of the moments whereby the game offers a brief though prevalent passage of ambient guitar strums with little to no visual cue or indication alike that such an appearance is with reason. In the same way Talos I sways and shudders time to time to bring home that omnipresence of danger and peril visually, Prey’s soundtrack never feels like it’s building up to an eventual climax in its track sequencing. Swaying back and forth between atmospheric post-rock influenced melodies, experimental electronics and more down-to-Earth (ironic a saying that might be, given the context) 80’s synth play, Prey as a packaged soundtrack seldom finds one direct path to take, instead fluctuating in many a direction, both conceptually and emotively. Fitting, given the explorative style of gameplay Prey encompasses. Yet it’s this indecisiveness that is ultimately the soundtrack’s acute grace when looked at outside the realms of the game it’s attached to. There’s an odd fascination with records/albums that intentionally go out of their way to tackle the near-ridiculous concept of finding a connection with what may seem like randomly, stand-alone, entirely opposing ideas. Not in an overly-pretentious fashion, but one that modestly tries to draw on a more personal, nostalgic or otherwise strict theme of choice. Some albums manage to pull it off (incredibly well at points), but not all; 90% of all electronic music actually seldom attempts to construct a deeper more interconnected prose. 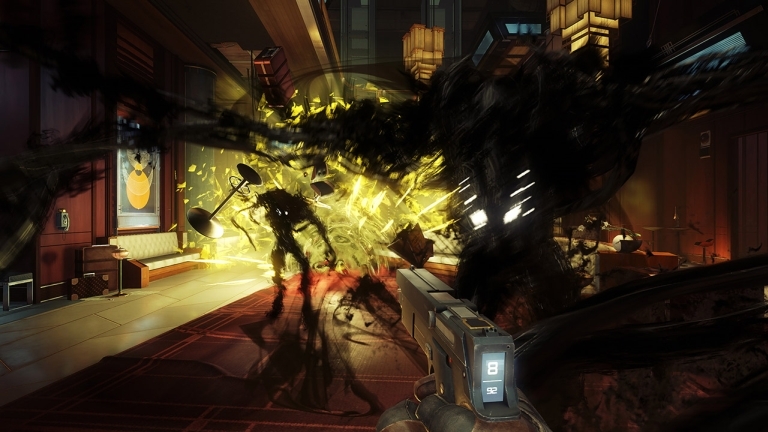 So while Prey doesn’t exactly push boundaries or intend to tell a story, for someone who appreciates electronic music that plays around with texture and timbre — be it melodically or rhythmically — what you’ll find is a soundtrack that […oh dear…] preys on a listener’s subconscious need to find cohesion and logic in what they find, takes a rather different approach to contrast itself against what many may conceive as but another musical trope in the atypical horror sci-fi get-up. Are these sounds you hear intended to be fear-inducing or not? With a devoid lack of orchestral screeching or otherwise thematic tirades trampling on the player so as to signal to us that “yes…this is the scary moment,” Prey meanwhile chooses to be evocative on an emotional level through its many textural presets. Some glistening and glazed like some grand corporate sheen, some a lot more digitally abrasive and abstract, chaotic possibly. No one idea dominates to the point of eventually taking hold and that in effect symbolises the game’s all-round direction: that it’s ultimately directionless, deprived of an identity that just may add some temporary ease or calming understanding to the whole situation. 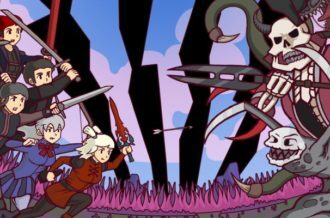 In terms of gameplay, it might fall somewhat flat, but sonically Prey translates this paradox of decisive indecisiveness into an interesting voyage of some hopeful attempt to salvage order out of all this chaos. 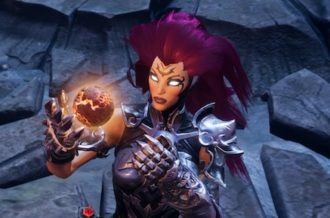 A stark contrast tonally to Mick Gordon’s work a year previous, while it may not have the color or the vibrancy or even the grand scale of the more recent video game soundtracks, its potent mix of guitars, patched synthesizers and electronic percussion means it’s just as potent and thus engaging to pick apart.